Be your fit, fashionista self throughout your pregnancy with Old Navy maternity yoga pants. 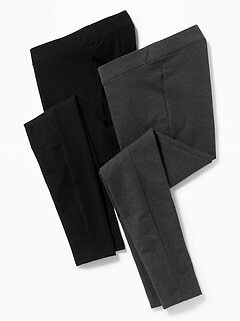 Exercise in comfortable, high-quality maternity yoga leggings from Old Navy. Gentle exercise and stretching are key components for your and your baby's health throughout your pregnancy - and no one ever said you can't look trendy while you do them. Shop hip and haute leggings, shorts and pants perfect for your pregnancy workouts at Old Navy. Bold prints, bright colors and unique cuts set our selection apart. Keep up with the latest athletic wear trends. Compression, roll up, cropped and jogger are just a few of our versatile and all-American maternity athletic and yoga pant styles. Pregnancy is a wonderful time in your life that can sometimes throw you a curveball or two. Be ready for anything in Old Navy maternity yoga capris. Specifically crafted for all pregnancy stages, our yoga pants, leggings, capris and shorts are durable yet comfortable. Elasticized waistbands form to your waistline as your baby grows for a perfect fit all nine months. Stretch materials stay fitted and flattering without tugging, bunching or sagging. Shop luxuriously soft fabrics like cotton, jersey, terry, fleece and more. Explore different rises, leg lengths and widths for a versatile workout wardrobe. Discover young and trendy maternity yoga wear at Old Navy perfect for your special time. Be a hot mama even before your baby is born with pregnancy yoga pants. 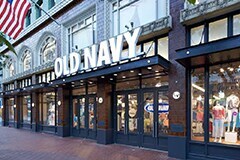 Old Navy has a large selection so you can find the exact style, design and look you want. Versatile and stylish enough for street wear, our collection of pregnancy pants for yoga are not only ideal for class or the gym, but can be worn for running errands or just hanging out at home. Mix it up with exciting prints and designs. A starry pattern gives you out-of-this-world style, while geometric stripes and lines are modern and chic. 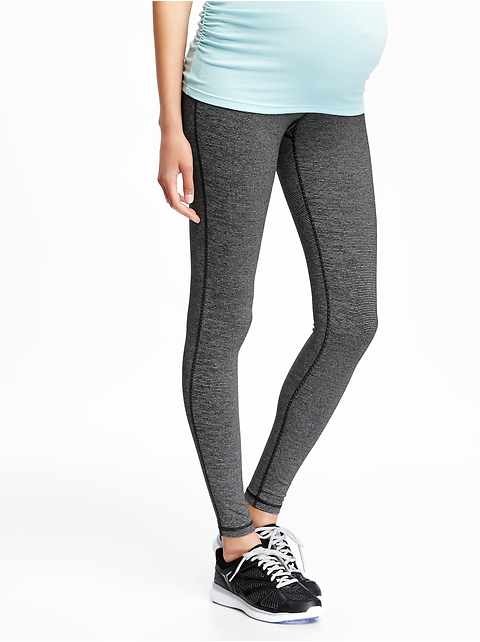 Check out fresh and fit maternity yoga pants at Old Navy.